Average rents in prime Orchard Road rose for the first time since the third quarter of 2011 to $32.20 psf in the first quarter of 2013. This is a two per cent rise in average rents of the shops on levels with the heaviest traffic along Orchard Road. In Q3 2011, average prime rents were $31.60. 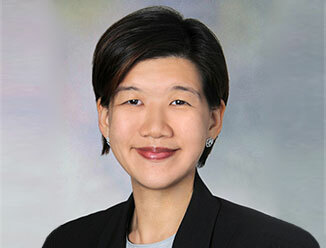 Letty Lee, Director, Retail Services said “The rise in average rents follows the series of asset enhancement initiatives undertaken by several of the large Orchard Road malls in the last two years. Rents have risen as a result. This, combined with the limited stock of quality Orchard Road space, accounted for the rise in average rents this quarter. The premium of Prime Orchard Road space over prime suburban space held firm, with some landlords inking higher-than-average rents. Wisma Atria revamped its premises with the aim of enhancing shopper traffic. CapitaMalls completed The Atrium, an extension of Plaza Singapura. Three malls, ION Orchard, Orchard Central and 313 Orchard took advantage of their lease renewal period in the past year to reposition themselves. 2013 will see an injection of 328,000 sf of space in Orchard Road with Orchardgateway in Q4 2013 with 172,000 sf and the completion of the asset enhancement exercise at The Heeren which will yield 156,000 sf in the third quarter of 2013. The completion of the re-positioning exercise of Suntec City Mall and Marina Square may put some pressure on rents but in the face of quality Orchard Road space, average prime rents for Orchard Road will remain steady for the rest of the year. European retailers continue to be a major player in the Orchard Road retail scene, with Korean and Japanese brands following suit. Food & Beverage operators dominated the scene for new store openings in Q1 2013 along the Orchard Road belt. Labour crunch issues continue to plague retailers, with several having consolidated operations over the last few quarters. Still, the outlook for prime Orchard Road remains bright for the rest of the year as CBRE expects tourist numbers to remain healthy, matching the 14.4 million visitor arrivals that Singapore Tourism Board has estimated for 2012. The suburbs will see a substantial amount of space coming on stream. By the end of 2013, suburban retail will see nearly 1.6 million sf of space with the completion of major malls such as Bedok Mall, JEM and Westgate in the West in Jurong. Ms Lee said “Despite the large amount of space coming up in the suburbs, retailers remain upbeat about the suburban market. The new malls are built with larger floorplates which can accommodate larger formats and bigger varieties. Population in the suburbs is also now more dense, which means larger catchments for the malls”. Rents for prime suburban retail space averaged $29.75 psf in the first three months of 2013, no change from a year ago, and from the last quarter of 2012.